Search is a secondary response measurement of a PPC campaign’s success. 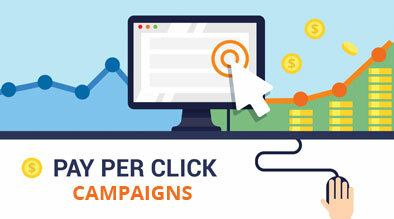 Do not do a PPC campaign without a strong search campaign since users will use both in their purchasing cycle. Moreover, experts suggest using PPC search query reports to find the top terms. Use those keywords and integrate them back into the website via content and metatags in order to drive more organic traffic to the website. Experts say there are points of diminishing returns in terms of driving traffic when you are doing a search campaign or a PPC campaign exclusively. But, if you do both, then you can increase traffic driven to your website beyond that point of diminishing returns. Furthermore, experts found that 30% of the respondents have seen the brand multiple times before taking action. This alludes to the importance of maintaining consistent brand awareness in the minds of the consumer, who will eventually convert. With that said, experts also suggest to use PPC campaigns to increase market share in a new market segment. For example, if you want to enter a new market with your current product, then use PPC to aggressively establish a presence in that new market. When you optimize your website with keywords and the like, the organic strategies may take a while. During the interim, with PPC, you can bid on keywords relative to the new market segment, and thus establish a brand presence early. Lastly, if you are able to, purchase media exchanges in which you can utilize tag users with cookies and thus enabling you to use search, site, and social retargeting. Such strategies typically have an 80% conversion. Rise in media exchanges – trading platform in which you can trade online marketing mediums. Cannot continue to shout at the crowds = significant about of waster because excluding different steps of the buying cycle. Therefore, we must talk to individuals. Conclusion: PPC will provide you a CTR. But what happens to those users who do not click through? That market is not lost. A portion will search. But, do not think of search as an insurance to catch the remaining market. Both organic and PPC strategies must be fully optimized, makes sense to the user, and address any point the user is at in the purchasing cycle. With these strategies complementing each other, you can maximize your market share.